A peaceful, beautiful setting out in the countryside … and yet it is just a stone’s throw from the hustle and bustle of the City of Johannesberg, Sandton City, OR Tambo and Midrand. Quiet Corner and their team will ensure your wedding day runs smoothly with catering, décor and hiring specialists on site, your function is sure to be a success. Come and share your special wedding day with us out in the open. 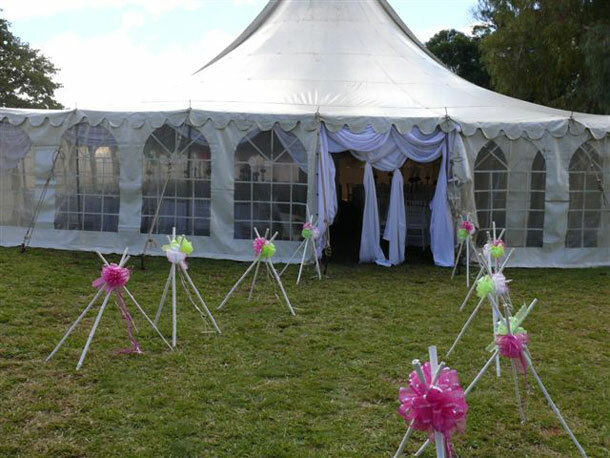 Hire a Bedouin stretch tent or a simple marquee, or even plan a simple picnic wedding – all these options can be made beautiful in our gardens. 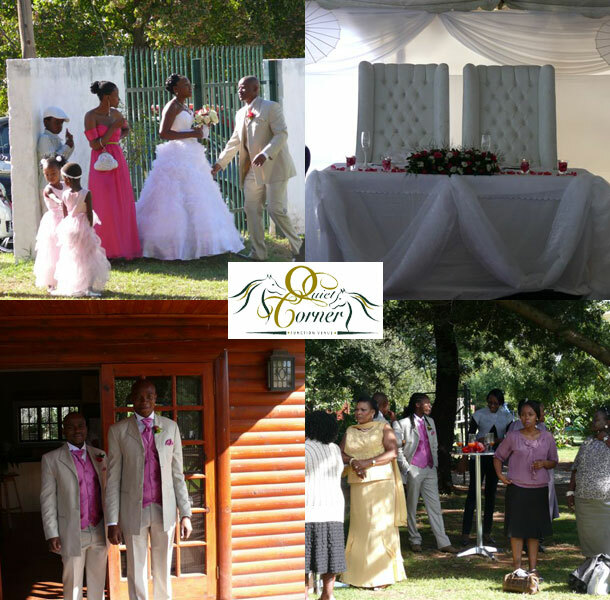 To book your wedding at this venue telephone Gwen on +27 (0)87 940-9630.